STRASBOURG, France, February 8, 2013 (ENS) – A major reform of the EU’s Common Fisheries Policy, which aims to end overfishing, ban discards and restrict catches to sustainable stock levels, was approved by the European Parliament on Wednesday. It was the first time that MEPs were able to use their new legislative powers over fisheries matters that give them equal authority with the European Council of Ministers to amend or reject proposed European Union laws. “We have shown today that the European Parliament is anything but toothless. 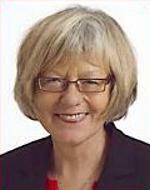 We have used our power as a co-legislator, for the first time in fisheries policy, to put a stop to overfishing,” said fisheries reform rapporteur Ulrike Rodust of Germany, a member of the Progressive Alliance of Socialists and Democrats. Rodust’s report was adopted by 502 votes to 137, with 27 abstentions. The new policy will stop overfishing by ending fish discards dumped at sea, respecting maximum sustainable yield limits and basing long-term planning on sound scientific data. Parliament will now start negotiations with the Council of Ministers and the European Commission on the reform plans before their second reading. The Irish Presidency of the Council has said it hopes to achieve an agreement the end of June. The European Commission welcomed the vote and the upcoming negotiations to finalize the new policy. “I welcome the vote and I am especially pleased with the Parliament’s support for a policy that is based on exploiting fisheries resources sustainably according to the principle of Maximum Sustainable Yield from 2015, a policy that introduces a discard ban with clear dates to put an end to wasteful practices that we can no longer afford,” Damanaki said. 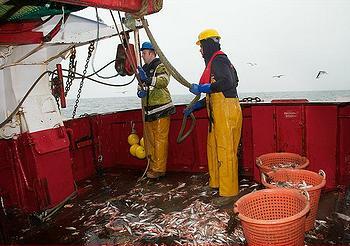 Overfishing is widely seen as the worst failure of the current Fisheries Policy, which dates from 2002. The new one will take effect in 2014. European Commission figures suggest that 80 percent of Mediterranean fish stocks and 47 percent of Atlantic stocks are overfished. The reform adopted in Parliament’s plenary session sets out clear and strong measures to tackle this problem. Discards – fish thrown back, usually because they are of an unwanted species or size – account for almost a quarter of total EU catches. Most of the discarded species die. To end this wasteful practice, MEPs voted to oblige fishing vessels to land all catches in accordance with a schedule of specific dates for different fisheries, starting from 2014. 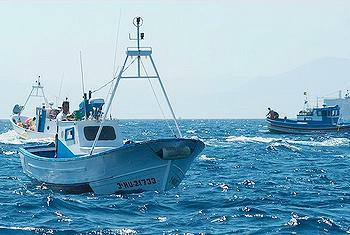 Fishermen will be obliged to land all the commercial species that they catch. Under-sized fish cannot be sold for human consumption. The EU’s 27 Member States will have to ensure their fishing vessels are equipped to ensure full documentation of all fishing and processing activities so as to monitor compliance with the discard ban. From 2015, Member States will be prevented from setting quotas that are too high to be sustainable. Fishermen will have to respect the maximum sustainable yield limits by catching no more than a given stock can reproduce in a given year. The reform will rely on multi-annual fish stock management plans to ensure that fishing stays sustainable. Multi-annual plans will be based on more reliable and accurate scientific data, which EU member states will be obliged to collect and make available. Taking a longer term approach should improve market predictability, which in turn should help the industry to invest better and plan ahead. Small-scale coastal fisheries play an important role in the social fabric and the cultural identity of many of Europe’s coastal regions. So, the European Commission said in a statement, small coastal fisheries will require specific support. “The future financial instrument for fisheries will include measures beneficial to small-scale fisheries and will help local economies adapt to the changes,” said the Commission. The new policy will include an improved framework for aquaculture that aims to increase production and supply of seafood in the EU, reduce dependence on imported fish and boost growth in coastal and rural areas. By 2014, Member States will draft national strategic plans to remove administrative barriers and uphold environmental, social and economic standards for the farmed-fish industry. A new Aquaculture Advisory Council will be established to give advice on industry-related issues. “There is a clear EU dimension in aquaculture development: strategic choices made at national level can have a bearing on such development in neighboring Member States,” said the Commission. The reformed Common Fisheries Policy extends to 2022 the right for Member States to restrict fishing in a zone within 12 nautical miles of the coastline.